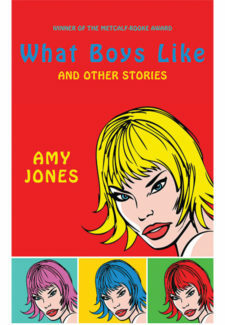 Originally from Halifax, Amy Jones is a graduate of the Optional Residency MFA Program in Creative Writing at UBC. Her short fiction has appeared or is forthcoming in several Canadian publications, including The New Quarterly, Grain, Prairie Fire, Event, Room of One’s Own, The Antigonish Review, and 08: Best Canadian Stories. In 2006, she was the winner of the CBC Literary Award for Short Story in English. Amy currently lives in Toronto.